Ok I got your attention, so the clue for the second event of our Intrabox Competition is…Clean and Jerks. This will be a two score event, meaning your team will be rewarded for speed on your clean and jerks, and also how heavy you can get. That’s all the info you’ll get until the week before. Start lifting! As I write this on Sunday afternoon, I think I’m just now getting my heart rate back down after that tough Sunday WOD from a few hours ago. Heavy back squats followed by a conditioning piece that was long and challenging! And what a group we had, WOW! For a second there when I walked in, I thought it was the holiday party today. The holidays are upon us, and of course that means lots of fun events and parties pop up for all of us to attend and host. Stay true to your goals, and make the gym consistent as you have all year to keep rocking through. Also, stay tuned here, at class, and in Wodify, as around the holidays our class schedules change a little bit. For example, no classes on Thanksgiving Day, no 6:30 pm class the night before, and no 6 am class on Friday after. Sign-ups are now live for the Michele Letendre weekend clinic on December 1 and 2. Email or message Nick to lock in your spot or sign up sheet at the box. This will be limited to 25 participants. This is a rare opportunity not to be missed! Each day includes a catered lunch as well. Full details will be shared on our Facebook page and at the box including cost. This is exclusive to members of our box. We are thrilled that we’ll be hosting this at the box on December 1st and 2nd for a 2 day clinic. Or “clinique” as she says in French. 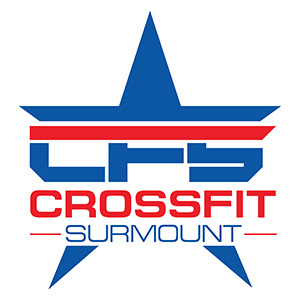 Each day will be filled with discussions, hands on teaching in all CrossFit movements, and workouts as well. We have ordered our shirts and hoodies, they should be in 2-3 weeks. As for programming this week, should be lots of fun again! Intense workouts, and a good amount of technique. Hopefully by now you are noticing quite a bit of improvement in both capacity in the 2 major lifts. Shortly we will have our Angel Tree up. This is a great tradition I’m very proud of, where tags will be on the tree for members to take. Each tag has a child or family with needs for the holidays, and you can take and then bring back that gift to be donated. Thank you for everyone who has already asked about this, truly is awesome that you guys love giving back so much! The monthly challenge is off this month, sign up for the December 15th competition instead. Don’t have a team yet? I have a list as well you can sign up and be added to a team looking for teammates. Deadline is December 1st. This will be a fun half day with our box. Three friends equals more fitness!